eM Client 7.2 Update is out! Shortly after the release of eM Client 7.1, we started processing all the feedback that we received from our users. Now, a couple of months later, we proudly present the new update 7.2 containing the below-listed features and many other fixes and enhancements. 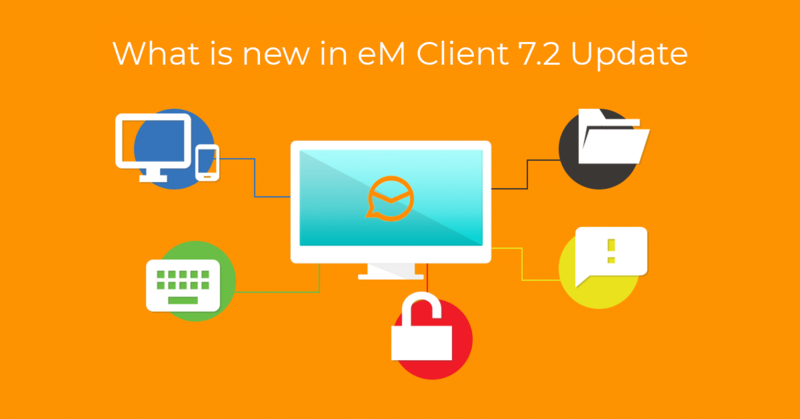 Let us show you what new features are being introduced in eM Client 7.2. If you haven't installed this version yet, the download link is available at the bottom of this page. Starting with version 7.2, eM Client is available for mac OS. You can download the Beta version on our site right now. You can look forward to the official release in the near future. 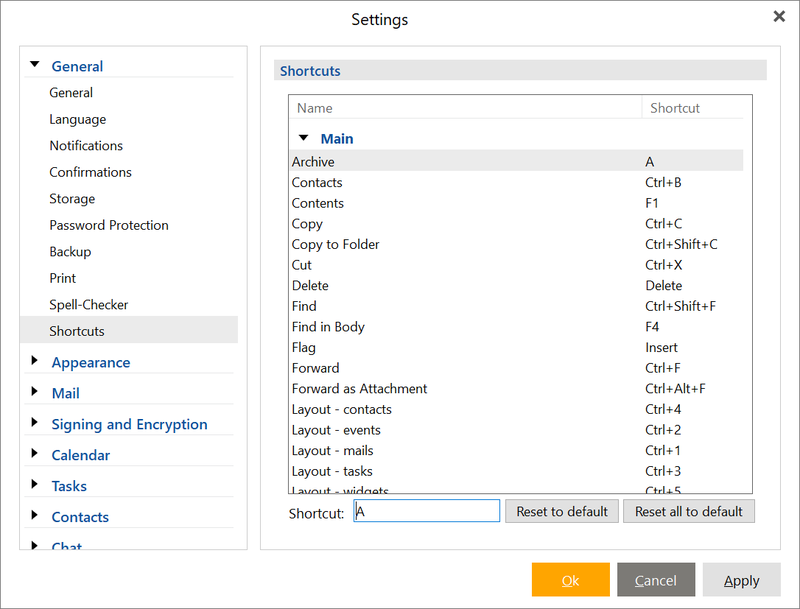 Many of you have been asking for the ability to set keyboard shortcuts to individual keys. That is why in eM Client 7.2 we added the options to set a shortcut to a single letter, number, or any other key. 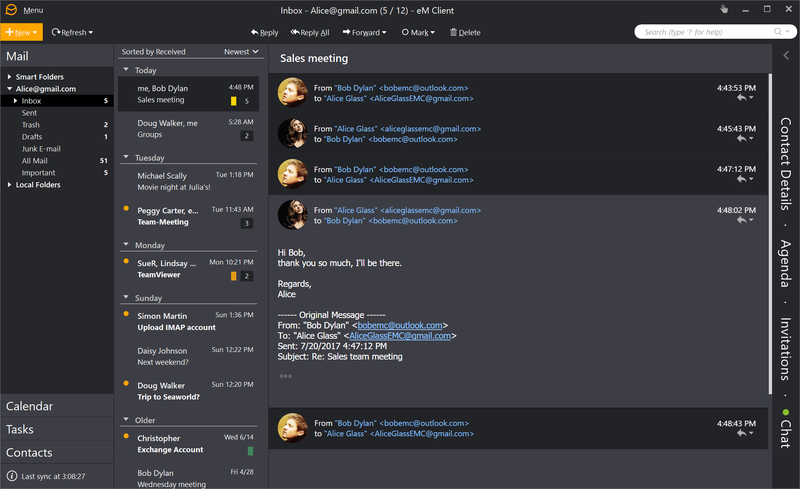 Do you perhaps need to switch between calendar, mail or contacts sections frequently? Set shortcuts to numbers 1, 2, 3 for these main sections, and always keep the relevant section within one click of the keyboard. The standard keyboard shortcuts haven’t changed though and you can still combine them with the Ctrl or Shift keys. We believe that you will find a lot of other uses for this feature and if you encounter any limitations, feel free to contact us. We have some good news for those of you who use eM Client on multiple monitors and with different DPI settings. In version 7.2 full support for different resolutions and DPI values will be available. Application windows will look sharp and all texts and controls will be of the right size regardless of the resolution and DPI monitor settings. Although we thoroughly test eM Client in a variety of environments and configurations, you may still experience some exceptions or minor issues where the size of some elements will not be ideal. You can report any problems to our customer support. Starting with version 7.2, eM Client will automatically switch to system notifications. This is true for both the Windows version and the upcoming Mac version. Through the system notifications, you will now be alerted to all your incoming messages, chat status changes, incoming files, and notifications about new updates. 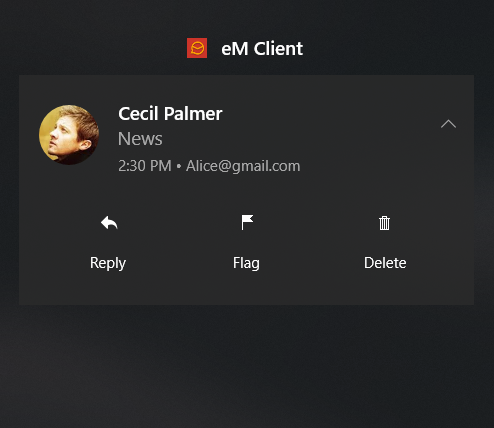 In case you find yourself missing the original notifications that eM Client displayed in the previous version, you can turn system notifications off at any time in Menu > Tools > Settings > General > Notification section – just uncheck the "Use System Notification" option. There are no changes to the calendar and task reminders – those will work the same way as in the previous version 7.1. Whether you use Gmail, Exchange or Office 365, you'll have the option to be more creative with your automatic messages now and even add a signature with your company logo. We have expanded this feature with more options and settings. 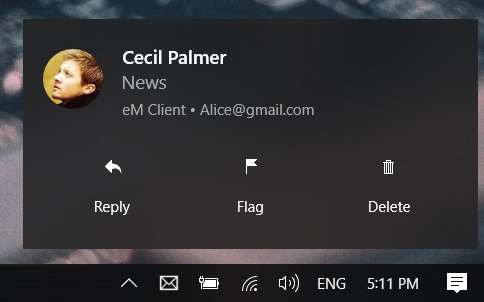 Whether you are working late at night often or using a dark theme in eM Client for another reason, we have great news for you. We have improved the dark theme so that it now protects your eyes and reduces digital eye strain even more. In version 7.2, eM Client automatically masks the backgrounds of messages that have a default white background setting and replaces it with gray so that the contrast is as small as possible. There are messages where the message cannot be displayed in this way without interfering with explicitly defined colors, though. In such case, eM Client will display the original background as defined by the sender. In version 7.1, we completely redesigned the system in which eM Client was working with certificates. eM Client automatically began to collect certificates by purpose and date of expiration, which perfectly covered the needs of most users and made the feature much simpler. 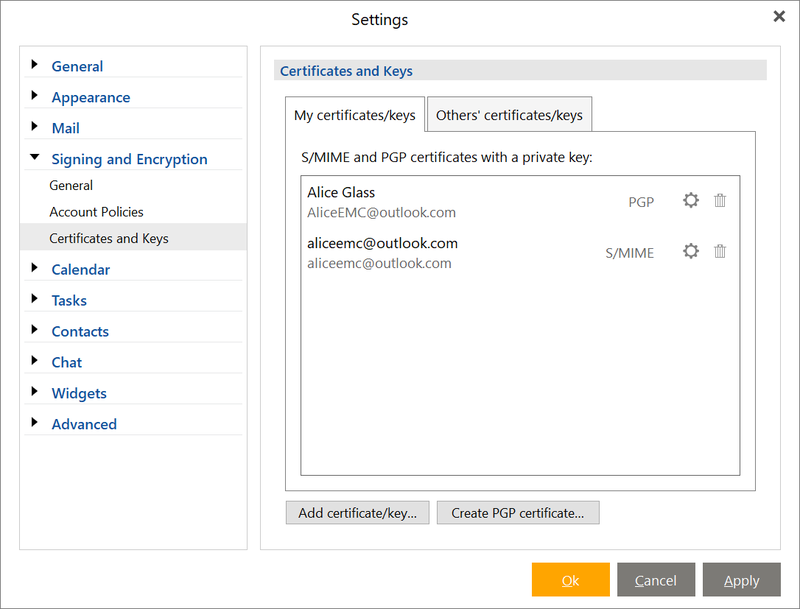 However, it turned out that in some special cases, the user needs to decide which of the available certificates to use when signing the message, so we added the option to choose the appropriate certificate in version 7.2. This selection is available by clicking on the small arrow to the right of the digital signature button. If you have multiple certificates for one email address, click on the small arrow next to the signing button to make eM Client use the selected certificate. 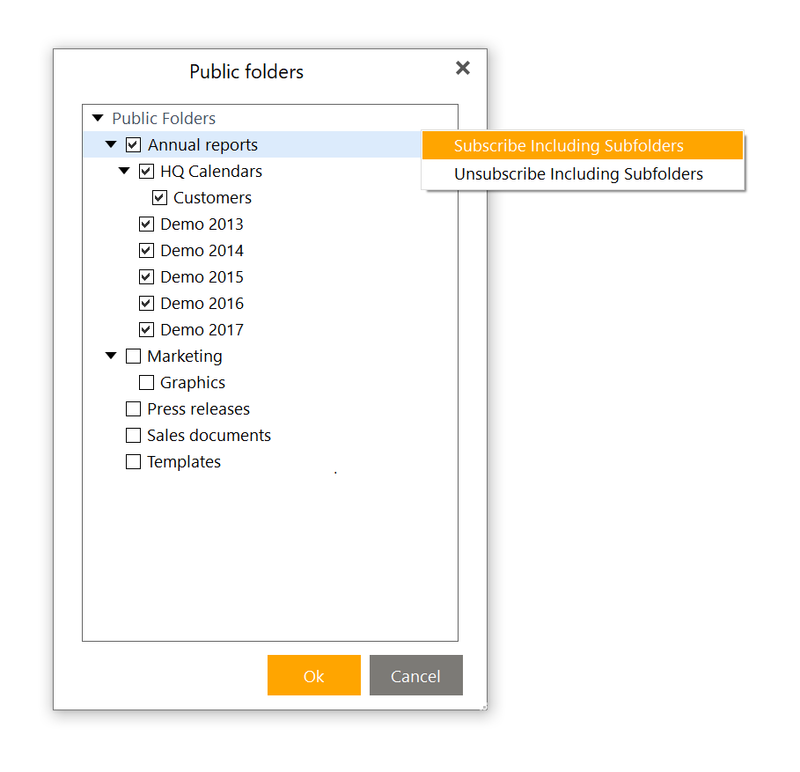 The ability to add public folders to the list of displayed folders has been available for a long time in eM Client. But when users needed to add a large number of public folders at once, they had to go through a lot of clicking. 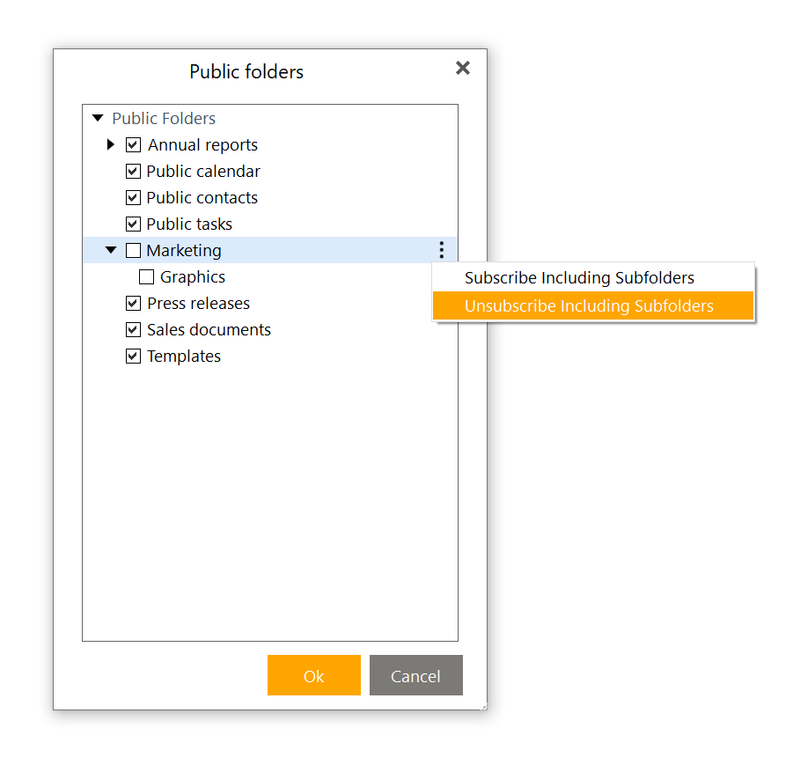 That is why in version 7.2 we have added the option to add all public folders and their subfolders at once. 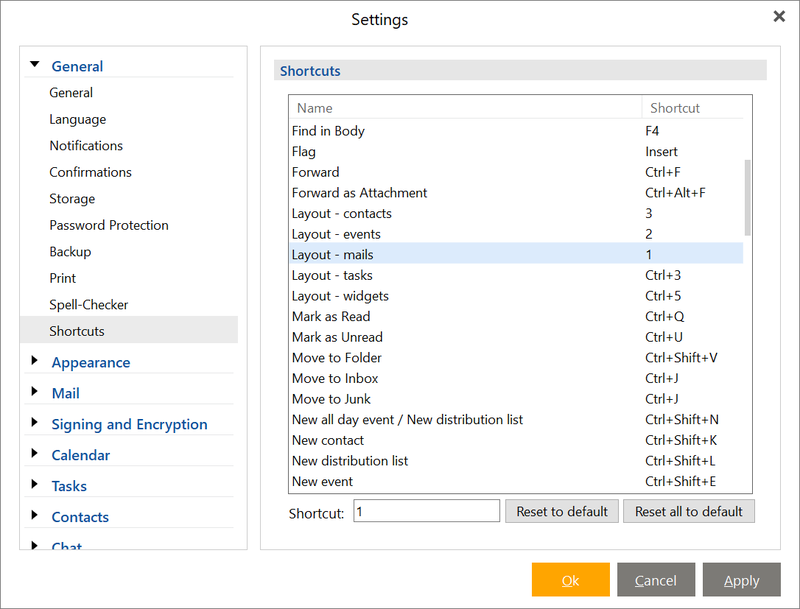 Click the three dots icon on the right of the folder list (or right-click the context menu) to choose whether to add or remove the folder and subfolders from the view. The whole process should also be significantly faster because we optimized the way the communication between the server and our application takes place. Classic addition by checking individual folders remained unchanged though. If you need any advice, do not hesitate to contact our support at support@emclient.com. Follow us on Facebook or Twitter to find the latest information about our new releases.